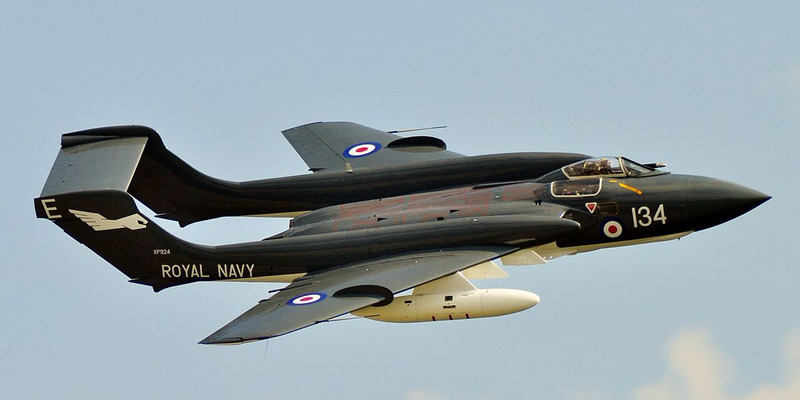 By Lmgaylard via Wikimedia CommonsSea Vixen, XP924, performing a ‘photo’ pass for the ‘official’ hand-over to the Fly Navy Heritage Trust at RNAS Yeovilton. While the British boast a perfect record in world wars – including a gritty victory over Germany’s seemingly unstoppable Luftwaffe in the Battle of Britain – it is a country that has made some truly bad aircraft. The Spitfire fighter and the Lancaster bomber ruled the skies throughout World War II. The Harrier Jump Jet served at sea honorably for decades. But the aircraft you don’t hear about are usually pretty awful. “If you want something done slowly, expensively, and possibly very well, you go to the British,” begins the first-ever YouTube video from Hushkit, an aviation blog from Joe Coles.